My grandfather's story includes a U.S. Medal of Freedom; 1,500 year old history books belonging to Chairman Mao; and Puyi, the last emperor of China. I have always been fascinated by my family history. Both my grandfathers were generals for the Kuomingtang (KMT, Chinese government pre-1948) during WWII and the Chinese civil war with the Communists. Here are some photos and stories of my mother's father. (In a month or so, I will post about my father's father, who also had an interesting life). 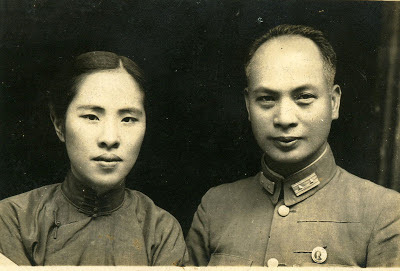 My mom's dad, Lieutenant General Fan Hanjie (范漢傑), was one of Chiang Kai-Shek's favorite generals, in charge of Manchuria & Jinzhou in the civil war with the Communists. Chiang Kai-Shek ((蔣中正 & 范漢傑) was the head of the Republic of China from 1928 to 1945, who led the Nationalist government that fought against the Communists in the civil war, and who was the wartime leader of China during World War II. "FANG HAN CHI . . . is awarded the Medal of Freedom, Silver Palm, for exceptionally meritorious conduct in the performance of outstanding service during the period from 10 April 1945 to 2 September 1945. 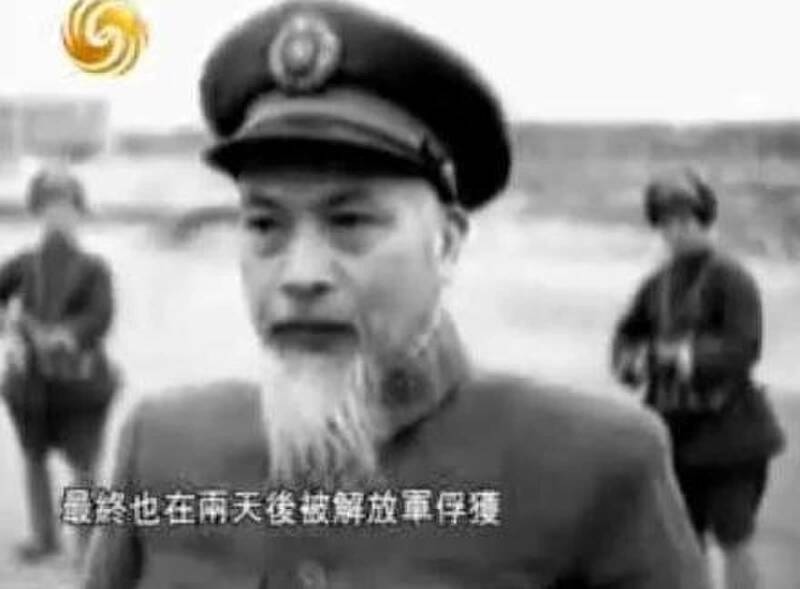 Major General FANG HAN CHI arranged for special training for Office of Strategic Services personal [sic] and materially aided in dispatching Office of Strategic Services field teams into enemy territory and arranging meetings with puppet and guerrilla leaders there. His willingness and desire to cooperate at all times was one of the major factors of the success of these teams operating in North China. Major General FANG did much to foster and maintain a most friendly relationship between the Chinese and American forces in North China. His achievements reflect the greatest credit upon himself and upon the Armed Forces of the United Nations. After World War II ended, the Nationalists and Communists resumed their civil war. 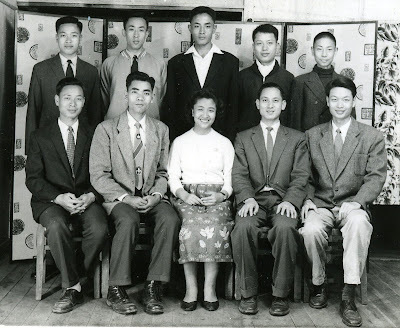 In 1946, my grandfather led an army into one of the Communists' strongholds in Yen-An, in Shan-xi providence. One of the camps that were abandoned by the Communists just a few minutes before my grandfather arrived had been occupied by Mao Zedong. My grandfather's men found a large suitcase belonging to Mao that had been left behind, containing 24 volumes of "The Book of Historical Records," published by Su Ma-Jien almost 1,500 years ago around 560 A.D. Everyone was awed by Mao's behavior - that in a critical battlefield, he would bring such heavy books with him to the front line. 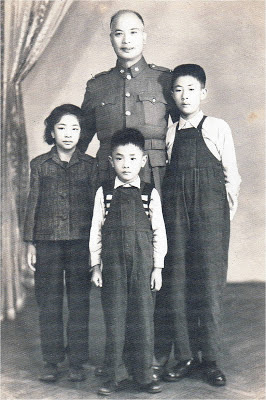 While my grandmother and her kids (my mom & her brothers) were able to flee to Taiwan, my grandfather was captured by the communist Manchurian Field Army at Jinzhou (1948) and he never saw my grandmother or his children (except one son) again. He was held a political prisoner in Jinzhou for 12 years until he was pardoned and released in 1960. The caption on the screen: "Two days after liberation, he was finally captured." After his release, he was sent to a Community Farm in the outskirts of Beijing to be "re-educated." There he met and befriended Puyi, the last emperor of the Qing Dynasty, who was also being "re-educated." At the camp, they tended the garden, watered plants, tilled land, trimmed bushes, and washed their clothes together. 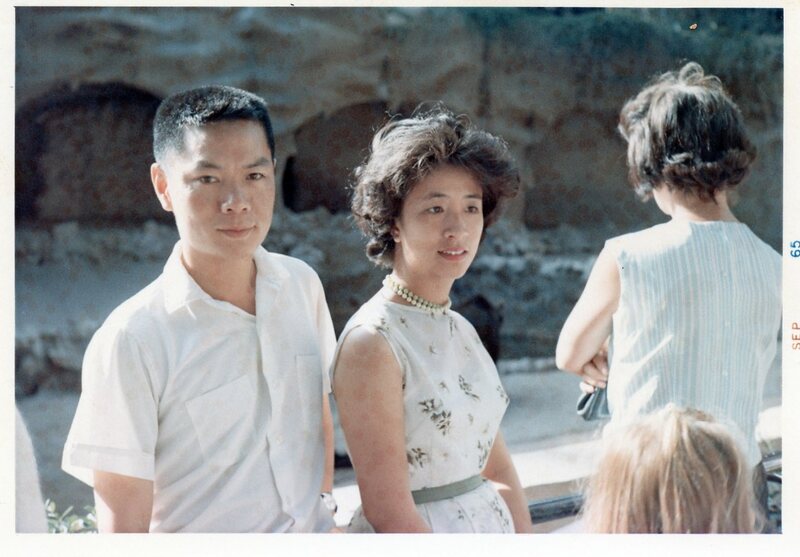 When Puyi remarried in the 1960s, my grandfather was one of the many invited guests. After the community farm, my grandfather was placed under house arrest until his death in 1976. He and Puyi were assigned to work in the People's Coalition Congress, chaired by Zhou Enlai (first premier of the People's Republic of China) as committee members to provide advice to the government on domestic and international policies. 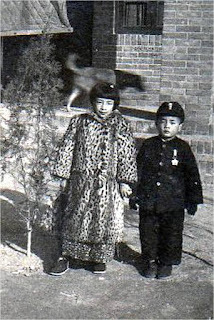 (Zhou Enlai and my grandfather were contemporaries at the Wampu Military Academy in the 1910s - my grandfather was a cadet and Zhou was a young political science instructor). During the Cultural Revolution in the late 1960s, Zhou Enlai shielded my grandfather and other ex-POWs from the Red Guards and the Gang of Four. One of my uncles was able to visit my grandfather briefly in 1975. My grandfather died in 1976 at the age of 82. 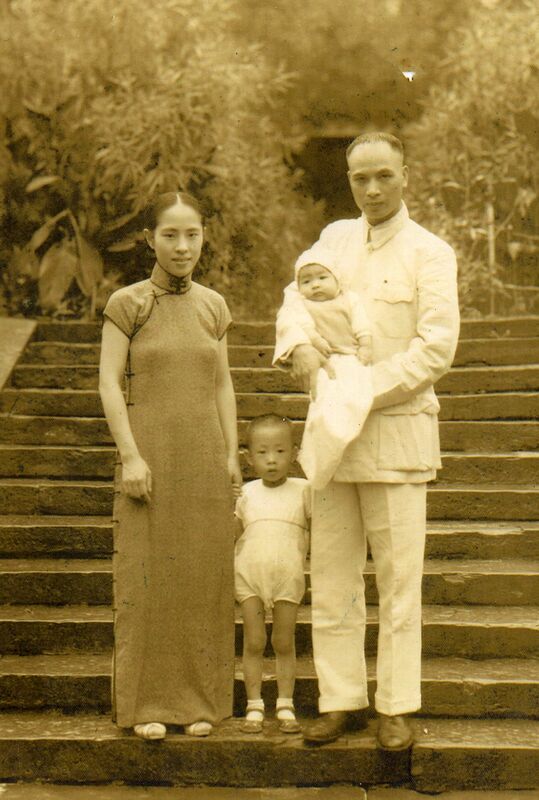 My grandfather lived in an era in China when it was not unusual to have more than one wife. My grandfather's first two wives died without having any children. He and his third wife adopted a son and had six more boys. My grandmother, Ling Jian-Fong (林劍峰), was his fourth wife. They had three sons and one daughter, my mother. Because my mom was his only daughter, my grandfather doted on her the few times he was at home. 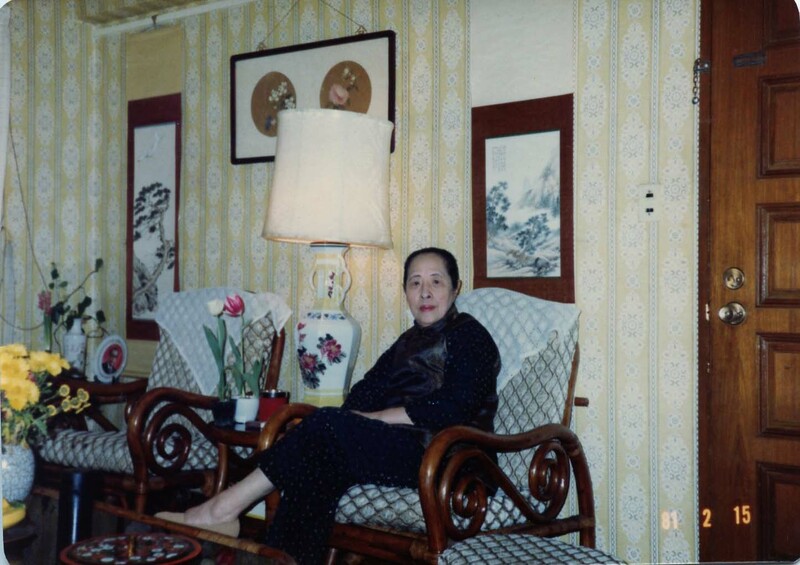 My grandmother came from a very respected family in Fujian, China. Her ancestor, my 7x-great-grandfather was the famous Lin Zexu, of the Qing Dynasty, who precipitated the First Opium War with Britain (1839-42) by dumping 2.6 million pounds of opium into the sea. My mom and her little brother. She's wearing the first and only fur coat she ever owned (leopard! ), 1944. In 1948, my grandmother was with my grandfather when he was captured in Jinzhou, but she managed to escape. She fled by foot and was by herself for three days, drinking water from streams to stay alive and seeing awful battlefield sights (corpses all over). She made it to Qinhuangdao, an island controlled by the KMT. 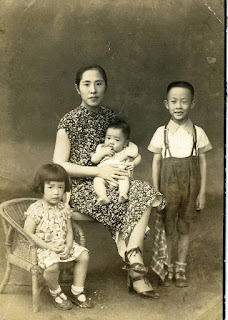 She took her children back to her family home in Fujien and then to Taiwan in 1949. Sadly, she and my grandfather never saw each other after he was captured. She left behind a 70+ room housing compound that she owned in Beijing that was confiscated by the Communists and is currently used as a YMCA-like facility. 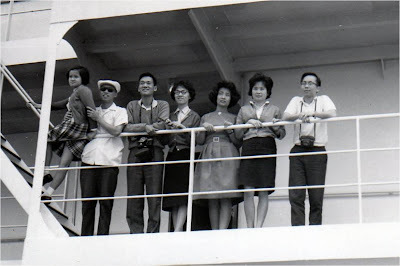 My mom was 11 when they moved to Taiwan. The next post about my father's dad will continue the story of my mom & dad meeting in the United States, ending up together in graduate school at Utah State University, and eventually settling in Chicago and later Caracas, Venezuela. And here's a picture of my grandmother as I remember her. I met her on my three visits to Taiwan, when I was six, thirteen, and sixteen. She died in 1996 at the age of 89. Most of the World War II history in this post was researched by my uncle, Dah Fwu Fan (范大福), pictured above, 4th from the right. Fascinating story and one to be very proud of Sylvia. Thank you for sharing. Thanks for stopping by, Jacque. Great story and I especially loved the photos. It is so important to know your family history. Thank you. I realize the importance more and more as my parents get older. I am in awe of this history, and how you are exploring and documenting this in collaboration with your family. I learned about so many of these names, dates and events in high school in the Netherlands, and largely because of that always have had a fascination with China. Thanks you for sharing. I am looking forward to your next post. Thanks, Yvonne! 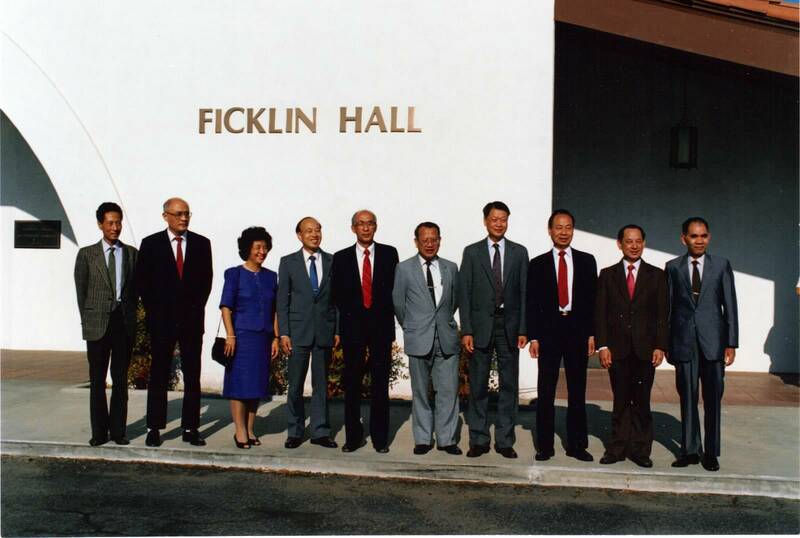 When I took a History of China class in college, it was a thrill to know that my grandfathers had been a part of the events we were studying. Amazing history - thank you for sharing. I can't wait to hear more about your mother's story. Imagine being the only girl in the family with nine brothers! I looooove this, Sylvia! If you already have this family history in a booklet form, I would love to buy a copy from you!! I might also want to ask you a little more, too, about your 7x-great-grandfather because I'm writing a YA steampunk novel set during the start of the Opium War in China. p.s. can't wait to read the second installment. I hope I'll have good internet by then (our speed gets cycled up and down; so annoying) so I don't have to wait to get into town to read it. Thanks, Teresa. We don't have this is a book form - maybe someday! That is so great that you got to learn about the history of your grandfather- something that you can pass on to your children. I never got to interview my grandfather and my mom knows little about him. This is such a fascinating story! I hope you turn his story into a book. That would make a lovely gift for generations to come. What a great legacy he left behind. Thank you, Romelle. I do feel like I only know the barest information about my grandparents. Your family history is a beautiful story. It should be made into a book and then a movie! What an amazing and wonderful family you have! Fascinating read. Thanks for sharing about them. Thank you Theresa! Thanks for stopping by. This is a stunning bit of history, Sylvia and such an enjoyable read, with great photos! 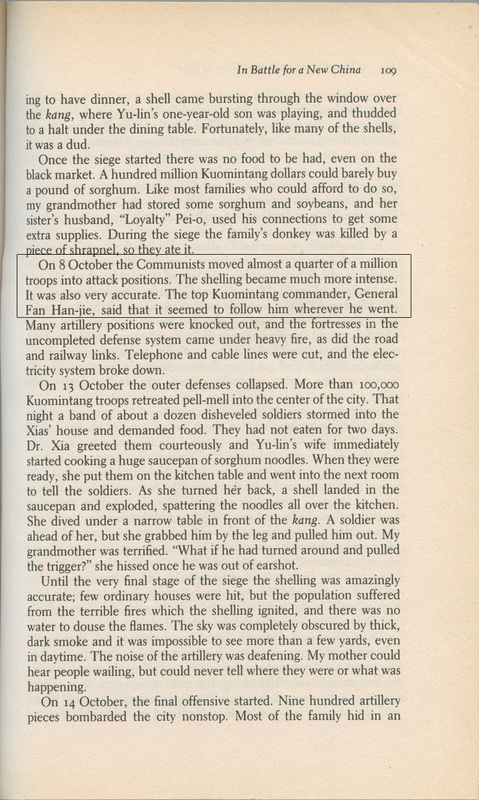 It's interesting -- I was just reading about the Kuomingtang the ther night after watching a YouTube video about Mao Tse Tung. My Dad was a U.S. Marine in China, sent there a few weeks after the end of the Battle of Okinawa, that he was in Although WW2 had just ended, he had two years left of his service hitch. He witnessed one of the several Japanese surrender ceremonies in China and then he was all over the country, north and south with his division. 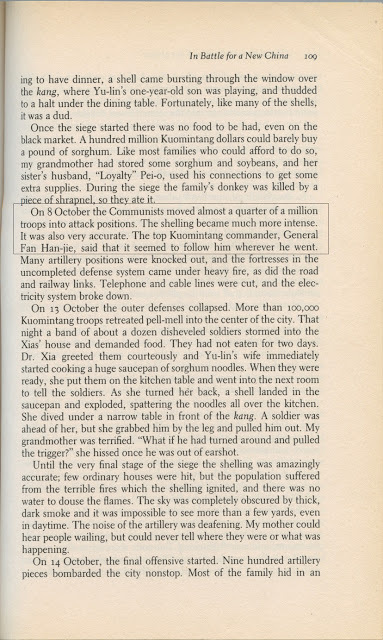 The marines were supposedly supporting the Kuomingtang, yet they were not supposed to shoot at the Red Army, either so they were in a strange position. It was quite a big history lesson for a 19 year old high school graduate from upstate New York. He talked about it for the rest of his life. 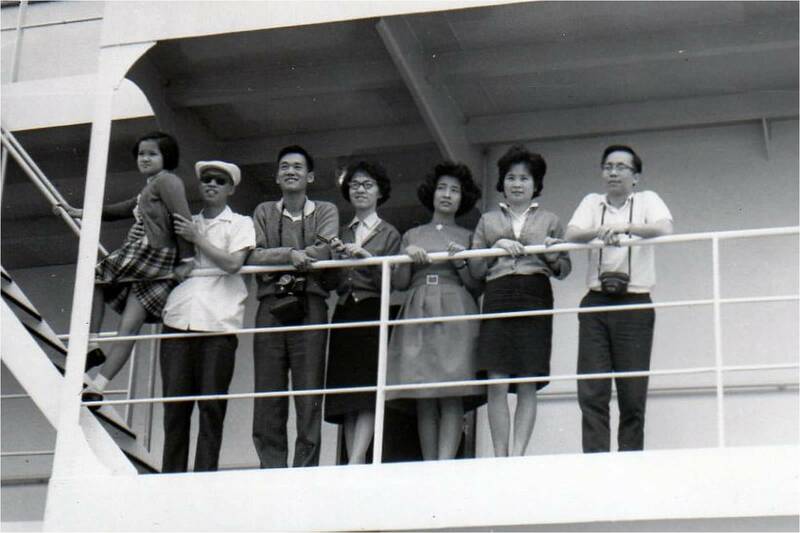 Thank you for sharing your family's marvelous backgrounds and history! Hi Mark, thanks for stopping by. Your father's story sounds really interesting... what a front row to history he got. Beautiful and fascinating post, Sylvia. I spent some time in Taiwan, visited the Grand Hotel, and wandered for hours through the museum there. Wonderful, astonishing scenery and truly magnificent people. Thank you for sharing your family's experiences and remarkable history. Also, we travelled into the mountains to a place called Olai (sp?) where villagers wore the most beautiful clothes. We rode a gondola up even further. It was a magnificent view of Taiwan. 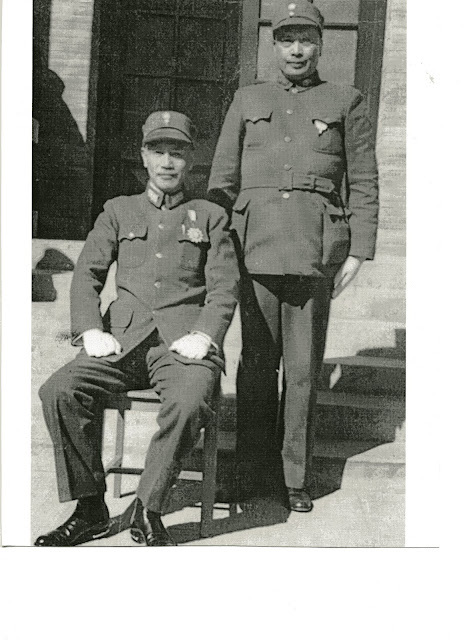 My maternal grandfather also served in the air force of Kuomintang and he participated into the action of the battle of Shenyang and Jinzhou(瀋錦戰役) when he was 24. I personally have been doing the research about this part of modern Chinese history and really admire General Fan. Having such a grandfather is definitely something one should be proud of. Thank you for sharing the story and pictures! It is so exciting and interesting to read this! I think that being connected to our family history and roots, enriches us very much. My mother and I made a common project - she wrote her memories from WW2 and I illustrated them. We self-published this memoir as a book.